Why should you stay in the Casa de la Musica? You don't even need to ask! 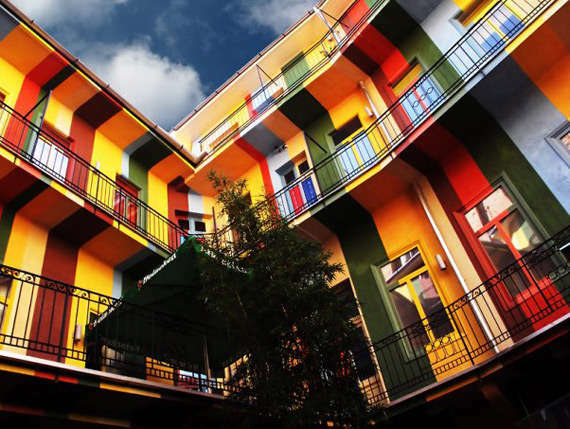 We're right in the center of Budapest, close to places of interest, party spots and cultural monuments; our entire building is dedicated to travelers, with bars, terraces, common areas and all that without any neighbors! So really, the question is, why NOT stay in Casa de la Musica! 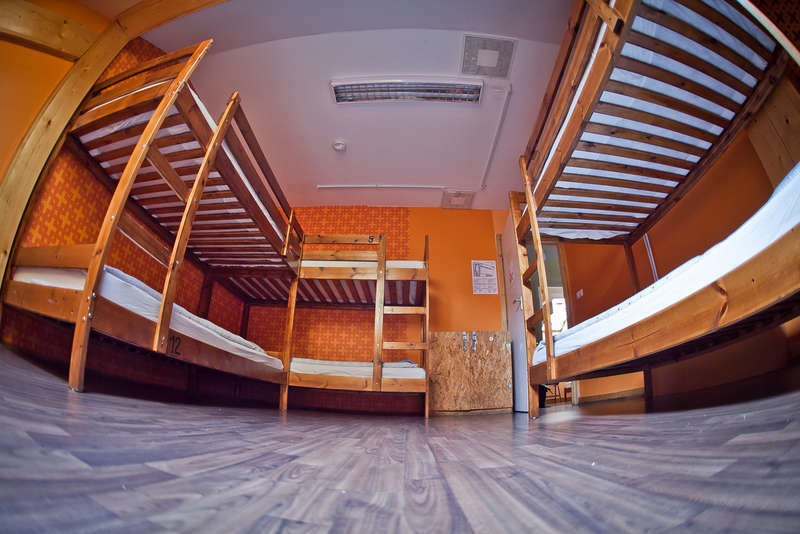 We offer bright, spacious and clean non-smoking mixed dorms with 4, 6, 8, 10 and 12 beds. We also have private double and twin rooms. 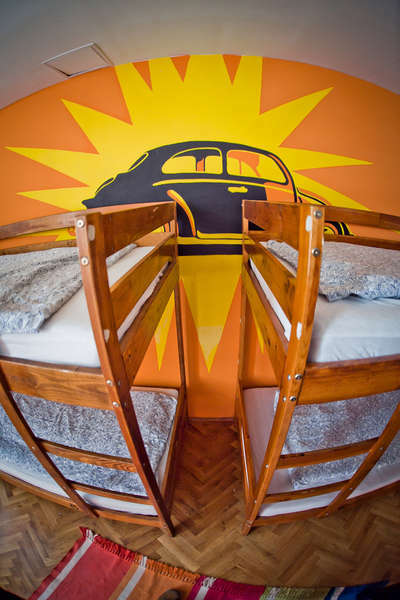 The hostel itself is situated across the entire level of the upper floor and includes a fully equipped kitchen, a common room with comfy couches and TV plus free internet access at our computer desk. We provide tons of free stuff such as linens, coffee and tea, Internet and Wi-Fi, lockers, maps and brochures, a flexible check-out time and no curfew! There's also a great pool on the terrace in the summertime! From the outside, our casa is a typical downtown Budapest house with a beautiful old facade, but the inside it has been totally renovated from top to bottom to give the house a fresh flavor. We sometimes have live bands in our basement bar, so you can see a gig with a beer in hand without even leaving the house! But if you do want to do something different, our neighborhood has some of the busiest nightlife in the city. Cancellations made fifteen (15) or more days prior to the date of arrival will incur without charge. Cancellations made 24 hours to fourteen (14) days prior to the date of arrival will incur a 50% charge. Cancellations made less than 24 hours prior to the arrival date will incur a 100% charge. We do not accept credit cards at the reception, only Euros (€) or Hungarian Forints (HUF).